Senior Business Administration major Ashley McClelland was looking to get involved when she transferred to the University of Illinois Springfield. It didn’t take long for a friend to introduce her to the Alpha Phi Omega (APO), a national coed service fraternity that promotes leadership, fellowship, and service. McClelland now serves as the Fellowship Vice President for the UIS APO chapter and spends a considerable amount of time volunteering in the Springfield community. McClelland has cooked for family members with children in the hospital at Springfield’s Ronald McDonald House, helped pick up trash through the Adopt-A-Street program on a road near campus, and has volunteered with the Girl Scouts. She enjoys volunteering because it not only helps her meet new people, but also gives her an opportunity to make a difference. “It has given me a chance to grow as a human being, to look beyond just myself at what people need. It gives me something to do with my free time. It gives me a chance to be a leader,” said McClelland. The leadership skills that she has learned in management courses at UIS have already benefited her as an APO leader. She’s taken many of the organizational skills she’s learned in class and applied them to real problems facing the fraternity. McClelland believes there are an abundance of leadership opportunities for students who choose to get involved at UIS. University of Illinois Springfield employees Keith McMath and Scott Fay were honored with the Department of Defense Patriotic Employer Award from the Illinois Employer Support of the Guard and Reserve (ESGR) committee during a ceremony on Nov. 16, 2012. McMath, assistant director of residential facilities and operations, and Fay, building service foreman, were honored for going the extra mile to help accommodate Spc. Corey Cooperider, a UIS student-employee, who is currently serving in Afghanistan. “Before my deployment, my supervisors never questioned my needing time off to prepare, or to spend time with my loved ones, even making sure I took the time I needed to do so. They allowed me to work flex hours if needed,” said Cooperider, who nominated McMath and Fay for the award. The Patriot Award honors individual supervisors for their superior support to Guard and Reserve employees. Award nominations must be made by a National Guard and Reserve member or their spouse. Nominated employers receive the Patriot Award and accompanying “Patriot” lapel pin. The intent of the ESGR Awards Program is to recognize employers for their vital support to the members of the Guard and Reserve and to ESGR's mission. During the ceremony, UIS Associate Chancellor for Constituent Relations Ed Wojcicki also signed a Statement of Support for the Guard and Reserve on behalf of the university. The statement pledges UIS’ continued support of military members on campus. The University of Illinois Springfield feels like home to senior accountancy major Caitlyn Clausen. After four years at UIS, she doesn’t want to leave. However, thanks to her UIS education and leadership opportunities, she has a full-time job waiting for her after graduation. Clausen volunteers as a tutor and mentor for freshmen enrolled in the UIS Capital Scholars Honors program. She sits down with them every week answering questions about math, accountancy, business courses, and often life. She also volunteers as treasurer of the Alternative Spring Break group, which recently traveled to New Orleans over spring break to help repair hurricane damaged homes. Clausen is also active in the Springfield community helping with UIS’ Trick or Treat for Canned Goods campaign. The effort collected over 6,500 pounds of food for the Central Illinois Foodbank. “The way that UIS’ staff, administration, and faculty encourages students to get involved and become leaders really influenced my drive towards taking on bigger roles in different organizations, clubs, and representing the university as a whole,” said Clausen. Clausen also works as a Student Ambassador in the UIS Admissions Office giving prospective students tours of campus and representing UIS at college fairs. This past summer, Caitlyn landed an internship at Archer Daniels Midland (ADM) in Decatur. The company liked her work so much, that they’ve offered her a full-time staff account job upon graduation in May. “I am just so lucky and thankful that that internship experience not only afforded me experience (that) looks good on a resume, but also resulted in a full-time job offer,” she said. Looking back at all of the opportunity-rich experiences she’s had at UIS over the past four years, she’s thankful that she made the right college choice. “I knew I made the right decision coming in here my freshman year. This is where I wanted to be,” said Clausen. The University of Illinois Springfield honored donors and alumni for their contributions during the annual Celebration of Giving on Friday, Nov. 8, 2012. The evening began with a reception, followed by a program and dinner in the Sangamon Auditorium Lobby where donor’s contributions were recognized. Additionally, several awards were presented to both donors and alumni. As part of the evening gala, four awards were presented, one by the University of Illinois Foundation (UIF) and three by the University of Illinois Alumni Association (UIAA). Additionally, two other alumni loyalty awards were presented, one before and one after the event. 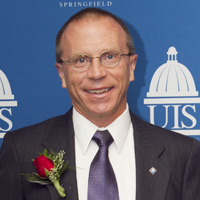 The UIF honored Bob Clary, who graduated from UIS in 1985 with a master’s degree in Business Administration, with the William E. Winter Award for Outstanding Advocate Leadership. 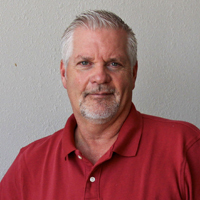 Clary has enjoyed a successful career as manager of State Farm Insurance’s Systems Department. Clary has been a true champion and advocate for UIS, particularly through his professional role at State Farm. 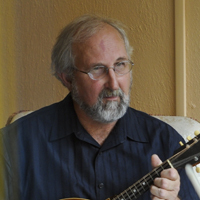 In 2005, Bob began reconnecting with the UIS Department of Computer Science in his capacity within the systems division. This partnership has led to State Farm inviting UIS to become only the 18th university nationwide to be one of the corporation’s targeted recruiting schools, a position UIS students benefit from each and every year. Additionally, Bob has guided UIS in the grant application process at State Farm resulting in more than $100,000 in support to the Department of Computer Science, making it one of this campus’ most generous and active corporate partners. Clary has also spent many hours volunteering his own time and energy, from mentoring current students to offering advice and insight to UIS faculty and staff. Fred L. Parsons, who earned his bachelor’s degree from the College of Business & Management in 1981, received the Alumni Achievement Award from UIAA. The award is the highest honor bestowed upon graduates of the University. It is given to those who have attained distinction and success in one’s profession or life work. A business entrepreneur, Parsons was inspired to start Southern Illinois Railcar Company (SIRC) in the 1980’s, which grew to a network of over 8,000 railcars - after starting with just three. As President and CEO, Parsons later sold the company to Japanese business giant Sumitomo. Mr. Parsons’ most recent ventures include several commercial developments and the founding of Metro East Recycling, where he currently serves as Owner and Chairman of the Board. Parsons is a member of the UI Alumni Association, President’s Council member of the UI Foundation and member of the College of Business and Management Dean’s Advisory Board. The Alumni Distinguished Service Award was presented to Randall F. Witter, who earned his master’s in Public Administration in 1982. The award is presented to individuals who have demonstrated exceptional commitment and service to the University. As President of Cook-Witter, Inc. a governmental consulting firm, Witter has carried on the hands-on experiential learning he received as a graduate student. The Cook-Witter firm has a long standing tradition of selecting one to three interns to work legislative sessions and fully immerse them in the lobbying process. Witter is a lifetime member of the UI Alumni Association, an avid supporter and “on-air” pitchman of WUIS and member of the WUIS/WIPA Community Council, a volunteer leader of the Illinois Connection advocacy network, former Campus Alumni Advisory Board member and volunteer with the Under the Dome student enrichment program. Evelyn (Ahbee) Staab Robinson, who graduated in 1974 with a bachelor’s degree in Liberal Arts & Sciences and 1976 with a master’s in Education & Human Services, was posthumously honored with the Alumni Humanitarian Award from UIAA. The award recognizes alumni who have made great contributions of leadership and service to improve the lives of others. Ahbee Robinson was among the founding classes of students of Sangamon State University, who made specific, intentional efforts to enrich the lives of others and the welfare of humanity. As President of the Land of Lincoln Girl Scouts Council, she engaged the African American community and for several years, served as a joint leader of an integrated troop. As a Junior League board member, Robinson advocated to bring the Lincoln Home neighborhood under the auspices of the Department of the Interior, helping ensure the best possible perpetual care of this historic place. 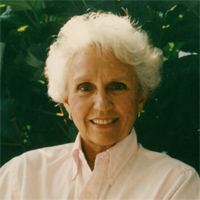 She was a leader in the hospice care movement for nearly 25 years, and helped establish the Hospice Program at St. John’s Hospital. Robinson was also engaged in several other organizations including Big Brothers/ Big Sisters, the Springfield Art Association and the King’s Daughter’s Organization. An Alumni Loyalty Award will be present to Barbara Stuemke Burkhart who holds degrees from both UIS and the University of Illinois at Urbana-Champaign and is currently an associate professor of English at UIS. She is an active alumna, even though she lives in Washington, D.C. and teaches online. She is a member of the UIS development team and was instrumental in established UIS’ first two endowed professorships. She played an important role in developing the UIS Campus Alumni Advisory Board, serving as president and then continuing on the board for 10 years. Since arriving in D.C., the Burkhardts have opened their doors to UI alumni in the area, hosting events and dinners. William Furry, who earned a both bachelor’s degree (1985) and master’s degree (1987) in Liberal Arts and Sciences, was also presented with an Alumni Loyalty Award. He currently serves as the executive editor of the Illinois State Historical Society and moderator for many Alumni SAGE Society Lunch and Learn Series events. Through Furry, the historical society helps publicize Lunch & Learn events and attract new attendees, both alumni and community members. Furry says he has an unspoken agreement with members of the UIS community; he is always ready to assist them. In addition to his efforts at UIS, Furry has served as president of the Vachel Lindsay Association. For more information on the UIFF awards, contact Jeff Lorber, vice chancellor for development, UIS, and senior vice president, University of Illinois Foundation at 217/206-6058 or email jlorber@uis.edu. For information on the alumni awards, contact Chuck Schrage, UIS Office of Alumni Relations at 217/206-7395 or email cschr1@uis.edu. 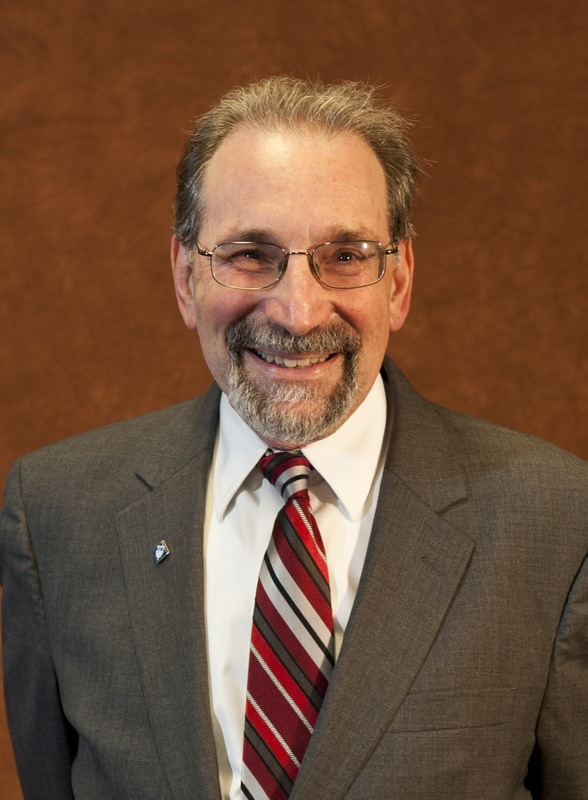 Former University of Illinois Springfield Provost and Interim Chancellor Dr. Harry Berman has been named the Interim Executive Director of the Illinois Board of Higher Education (IBHE). A nationwide search will be launched to find a permanent replacement who will ensure that the State remains committed to the goals of the Public Agenda and that the State continues to fulfill Governor Quinn’s goal of making higher education more accessible, more affordable, and more effective for every Illinois student. Berman most recently served as Interim Chancellor of UIS, where he oversaw all campus operations. 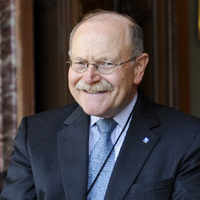 He previously served the school as Provost and Vice Chancellor for Academic Affairs where he led development of the UIS Strategic Plan and as Associate Chancellor, when he chaired the development planning committee following Sangamon State University’s merger with the University of Illinois. 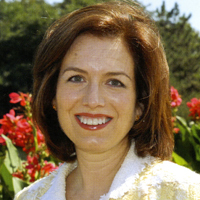 Dr. Berman is a widely-published scholar in the field of gerontology and human development and holds a Ph.D. in Psychology from Washington University. He remains active in numerous community organizations in central Illinois.